Peeps Candies.. to have them or NOT?? 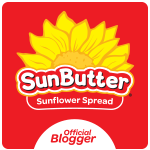 This always seems to be a big question for food allergy families this time of year. It states on their packaging that they are gluten-free. According to the ingredient list of the packages I purchased, they are also dairy-free, egg-free, and nut-free. Due to the fact that I am an avid ingredient checker and that my kids have devoured these in the past, they will once again be joining our Easter baskets this year. I wanted to add a little color, so am going with the Orange PEEPS Marshmallow Chicks and the Green PEEPS Marshmallow Chicks! Orange PEEPS Marshmallow Chicks and Green PEEPS Marshmallow Chicks, manufactured by JUST BORN, INC., Bethlehem, PA. 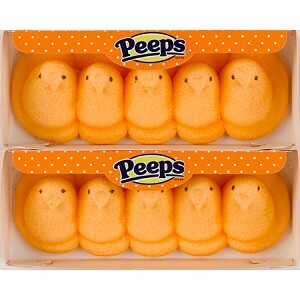 Ingredients of ORANGE Marshmallow Chicks include: SUGAR, CORN SYRUP, GELATIN, CONTAINS LESS THAN 0.5% OF THE FOLLOWING INGREDIENTS: POTASSIUM SORBATE (A PRESERVATIVE), YELLOW #6, NATURAL FLAVORS, YELLOW #5 (TARTRAZINE), RED #40, BLUE #1, CARNAUBA WAX. 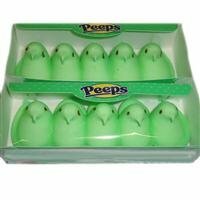 Ingredients for GREEN Marshmallow Chicks include: SUGAR, CORN SYRUP, GELATIN, CONTAINS LESS THAN 0.5% OF THE FOLLOWING INGREDIENTS: POTASSIUM SORBATE (A PRESERVATIVE), NATURAL FLAVORS, YELLOW #5 (TARTRAZINE), BLUE #1, CARNAUBA WAX. For more information, visit: Marshmallow Chicks or 1-888-645-3453.I know that the 'natural flavors' comment will be of concern to some. Knowing your loved one's allergies and sensitivities will help you make this very personal decision. Did you know that there are yearly PEEPS Diorama and Are Contests? 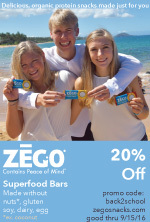 Check out this link! PEEPS Promotions I would LOVE TO bring this to Boise! Hmmm... something to organize in my free time! So... What will it be.. PEEPS or NO PEEPS this year? I think the big question is whether you can tolerate the food colorings. I'm not a fan of eating something called "blue #1," but once a year isn't bad! This is my one "bad" Easter item that I allow. Go for it!